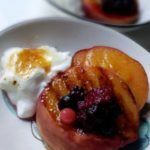 Grilled then chilled peaches with yogurt brûlée: When we have visitors, we like to introduce them to seasonal foods and present them in a different way. 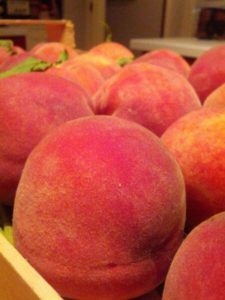 While I was living in Gaeta, Italy, during late June and early July, peaches were hanging from trees around the gardens of paradise. Our neighbor Miguele, brought us a box of peaches that had just been given to him by his brother. They were still warm from being in the afternoon Mediterranean sun and were so juicy that it was impossible to eat one without the juice running running over and dripping off of your chin. We all took one out of the box and for a moment there was a chorus of ‘slurping’ noises. 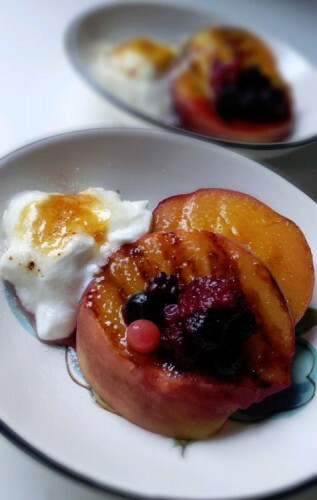 It was a real pleasure for me to be able to serve our grilled peaches with yogurt brûlée at breakfast for Katrina and her mother, visiting us from Russia. This recipe turned out to be such a success that I scribbled it all down for you. Warm a griddle pan to a medium to high heat. 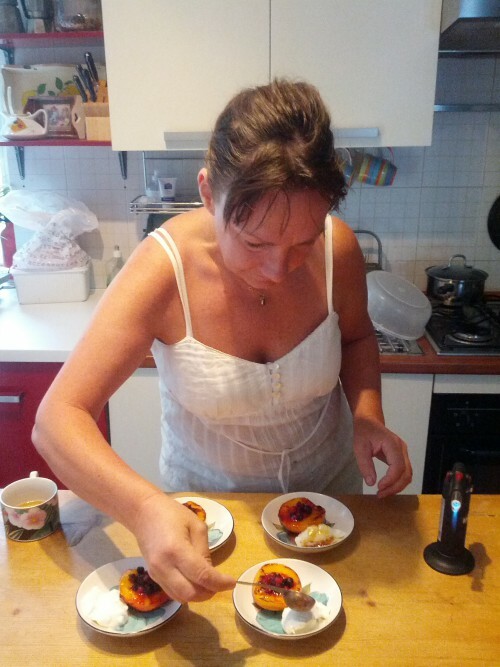 Meanwhile, slice the peaches into halves and remove the pip. Lay each piece of peach on the griddle then grill for up to 2 minutes on each side or until browned. Arrange the peaches on a serving dish and fill the cavity of each peach with a spoon of fruits of the forest. Set a tablespoon of yogurt alongside the peaches on each dish. Pile a tablespoon of sugar onto each of the portions of yogurt. Using a hand-held kitchen burner, hold the flame over the sugar and heat the sugar until it dissolves, turns golden brown. It will then set. 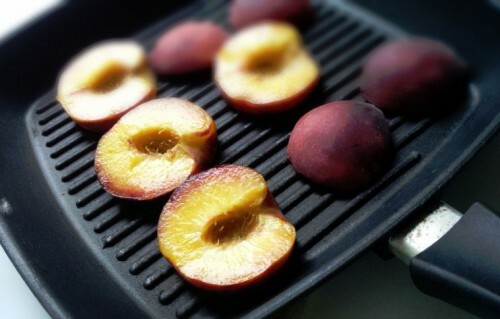 Chill each grilled and chilled peach with yogurt brûlée until you are ready to serve.